Some of my stops aren't showing up in zones and the show stopped button is grayed out. This button is auto selected for the default zone types, refer to the image below for more details. If the stops are not showing up even if this button is selected, the issue probably lies in the group structure. 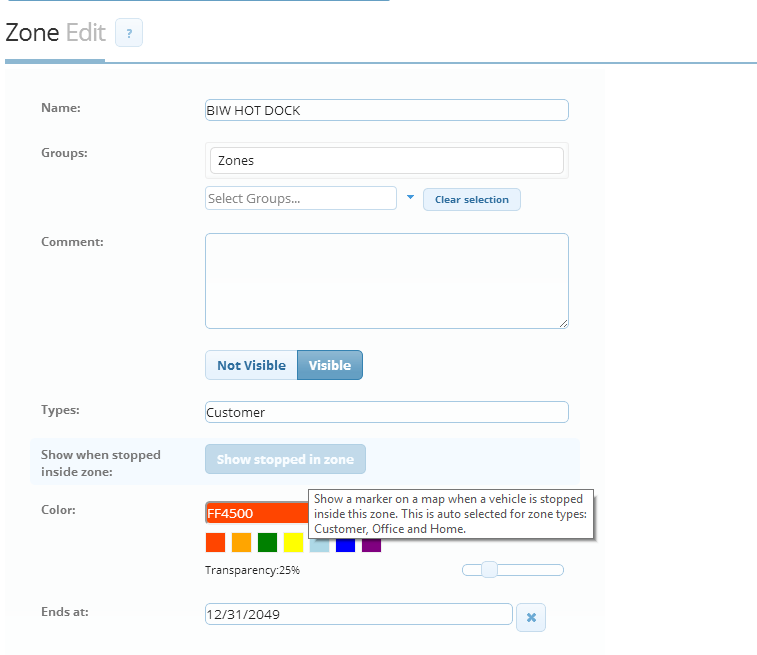 You will then need to check what groups the vehicle and zones are in and check if they match.